“shime” means the food what you want to eat after drinking alcohol. Most of them are “ramen” ”soba noodle,” “Chazuke( pouring green tea over cooked rice)”,”o-nigiri(rice ball)”.When you drink alcohol, blood glucose levels are lowered. So that your body need carbohydrate to increase blood sugar level. Soba and udon noodle for healthy “shime”. Soba is a noodle which made from buckwheat. Udon is a noodle made from wheat. There are two different types for eating. One is “zaru”. (soba noodle is often served on a sieve-like bamboo tray called a zaru) Pick noodle from zaru and dip into the soup. Another is ”kake” served as a noodle soup. After drinking alcohol, you need amino acid, vitamin B1 to decompose alcohol in your liver and udon or soba noodles contain a lot. Especially warm soba or udon noodle are good digestion and warm up the stomach and make it active. Good for “shime (after drinking alcohol)”. Soba noodle bar standing while eating. 24 hours open. So you can visit there whenever you want. Nowadays foreign tourists also visit. At this bar they boil fresh soba noodles every morning and provide freshly made soup without preservative. They serve delicious soba, udon noodle with care. Various toppings such as meat, tempura, “揚げ(age/deep-fried tofu)”,egg and many more on your “kake-udon”, “kake-soba” with hot soup, or ”mori-soba””mori-udon” cold served. In Tokyo area there are more than 100 bars. At Ginza, Shinjuku, Asakusa, Ueno and at many other locations. Specialized udon noodle which have more than 1000 restaurants worldwide At “marugame-seimen” dedicates to provide Japanese authentic made-to-order Udon noodles which are freshly kneaded, boiled and cooked right in front of you every day. They take good care of ingredients such as wheat from Hokkaido , for dashi (soup stock) use kombu (kelp) from Hokkaido and dried fish (bonito) flake which make udon delicious. Rich texture “Kamaage-udon”, and udon noodle with a silky texture. They have various toppings, such as shrimp, squid, chicken, vegetable tempura, ‘揚げ(age/deep-fried tofu)” egg and many more. In Tokyo area there are 64 restaurants such as Nishi-shinjuku, Hibiya and in Minami-ikebukuro. Specialized well-known taste and texture, Sanuki (kagawa prefecture) udon noodle restaurants. The restaurants are self-service and take good care of the ingredients such as wheat, dashi (soup stock), soy sauce, water and the way of making. They have many toppings such as beef, shiobuta (pork), egg, wakame (seaweed). They also have an original menu “Rich soy milk -udon”’ Tantan –udon (dandan/spycy udon)””salad-udon” You only can eat here. In Tokyo area, Ginza, Shinjuku and other in total 65 restaurants. 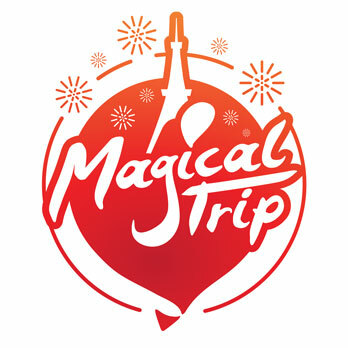 The tour offers Tokyo bar hopping nightlife tour of 2 to 3 hours from 7 pm in Shinjuku area. The bilingual staff will guide you through the authentic Japanese style Izakaya bars. The price is about $57 including food and drinks. you can enjoy delicious sake and enjoy Japanese foods with a traditional atmosphere of Japan. At the ending let’s enjoy “shime”(after drinking alcohol). 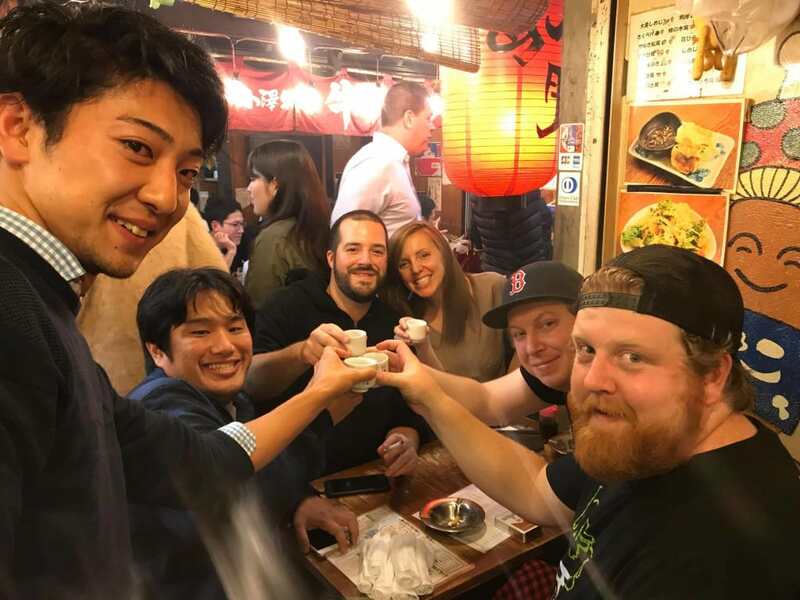 Asakusa Bar Crawl in local backstreets! Hop around the backstreet izakayas of Asakusa through a guided Asakusa bar hopping nightlife tour . From Hoppy street to nostalgic bars. There are many spots where you can enjoy drinking alcohol in Asakusa. At night, Sensō-ji temple , five-storied pagoda are lighted up and beautiful. Bar crawling with delicious sake and foods. Night tour guided in English.